As a parent, I am very conscious of trying to influence my little Miss Niah on making healthy choices. Which makes me super excited to hear that we finally have a much-loved brand taking the first leading hand in the confectionery industry and responding to customers demand and the growing movement to consume less sugar. There is so much negative parenting on each out their being that you are looked upon badly for giving your children a sweet treat or having takeaway but the reality of it is that everything is okay in moderation. What we need to do is teach our children that these are sometimes foods, not all the time and that they aren't 'bad foods'. Leanne Hall who is a clinical psychologist with qualifications in nutrition and personal training was chatted to about how she felt on sweet treats and answered with a few quotes in which this one stuck to me, “The best thing we can teach our children is how to make healthier choices, instead of avoiding them opt for the lollies with less sugar than others”. 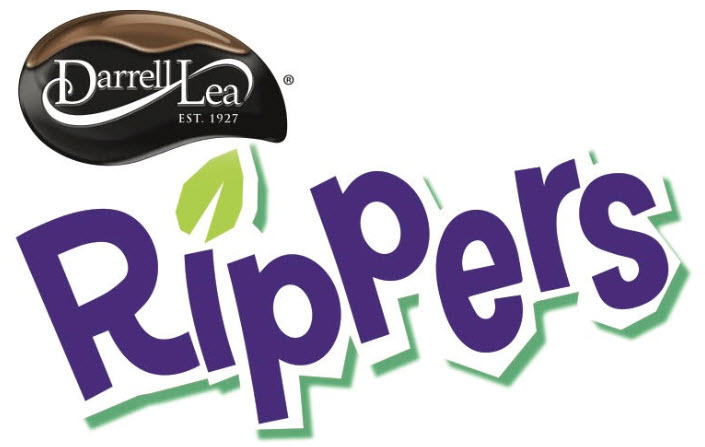 Darrell Lea has introduced the new Rippers which are 25% less sugar. Natural colours, natural sugars and no preservatives. The 25% stat comes from being 25% less sugar than other jelly confectionery on the market. The way Rippers are reminded me of a cheese stick as you can be given one but make many sticks of them on your own. They bend, twist and break into many strands. They are a food that can be played with! Blackcurrant & Green Apple, Orange & Lime and Raspberry & Grape. You'll have to check out Woolworths for these delights as Rippers are exclusive to Woolworths for an RRP $4.00. Not only have Darrell Lea introduced something that really makes them appeal even more than they already do with all their other goodies they have in their product range but they are holding an amazing competition - that I really want to win and will be super jelly of the winner. You can enjoy your Rippers whilst having fun with them by giving yourself the chance to win a trip to the Darrell Lea factory in Sydney (from your major capital city) with a parent/guardian and up to 2 friends with an all-you-can-eat tour of the factory, make your own Rocky Road bar and take-home samples AND you'll be sent more in the mail; twice through the year! 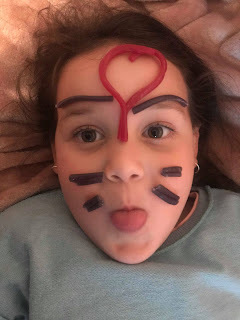 To enter you must get down to Woolworths, purchase a pack of Rippers - get in quick and pick up a pack on special and then have fun with them creating a crazy face using the Rippers, just like my little Niah above. Photos are required to be uploaded to either Facebook or Instagram with #DLEAFACEON and every two weeks the best entry will win. Entries are now open and close on 22 July 2018. 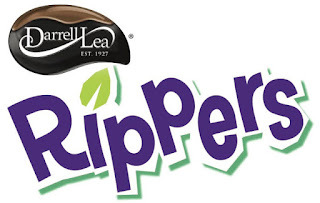 Disclosure: This post has been made in a sponsored collaboration with Darrell Lea Rippers. I received the above pictured Darrell Lea Rippers for sampling. 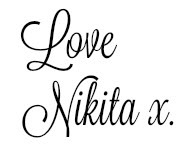 All opinions expressed in this post are entirely my own.